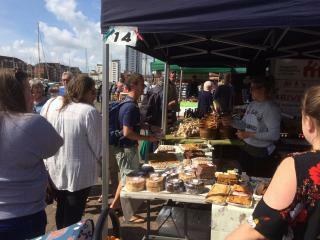 Marina Market is organised by the same people as the Uplands Market. It takes place 10am-3pm on second Sunday of each month. Local markets help reduce reliance on imported food and goods, lowers food miles and helps support the local economy and local producers. *** The market isn’t positioned on a road, but a shelter between the Pump House restaurant and National Waterfront Museum.